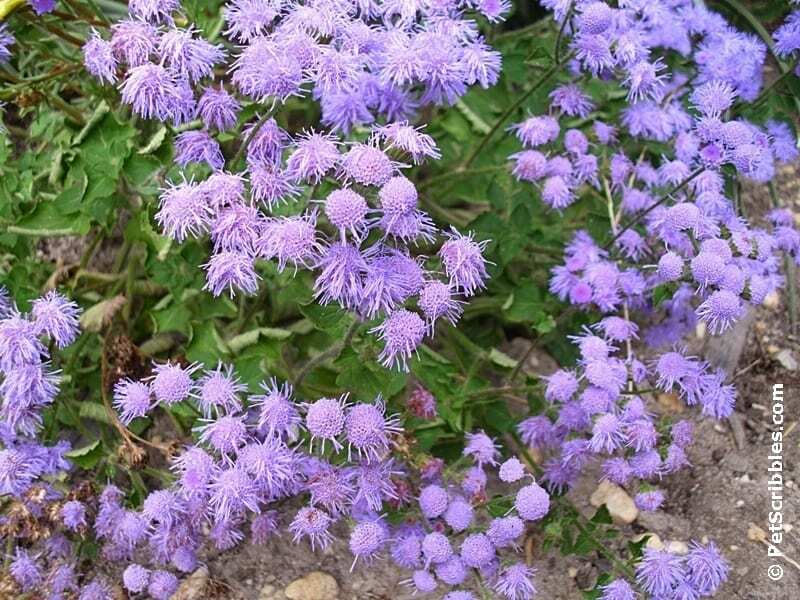 Plant Hardy Ageratum for beautiful late Summer and early Fall color. 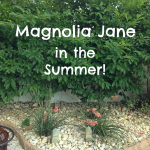 Here’s almost everything you need to know about one of my favorite easy-care perennials! Ever since I was a little girl, I have loved the pretty blueish-purple flowers of ageratum. Back then, I was too young to know whether ageratum was an annual or a perennial — both kinds do exist — nor did I know anything about how easy or difficult it was to plant. All I knew was that ageratum was very pretty, both from a distance and especially when looking at the unique flowers close up! 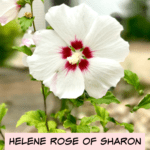 My mother planted it ever since I can remember, and when I was recently home to celebrate my 50th birthday with my 85-years-young parents — yes, I turned 50 back in June! — I marveled yet again at how stunning a planting of ageratum can be. 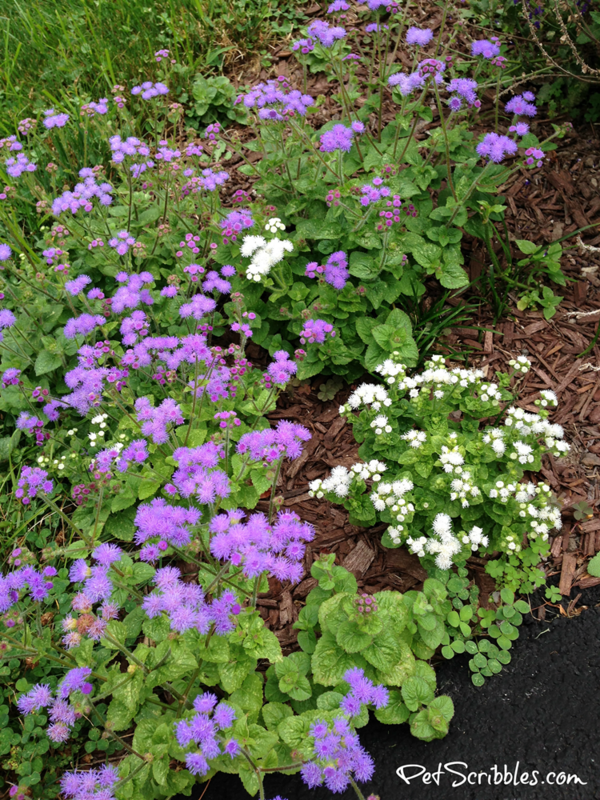 My mom even has some white ageratum popping up here and there in her garden which she swears she never planted! Is Ageratum an annual or a perennial? The answer is both, as there are so many hybrids, with some being annuals and others being stalwart perennials. Can you guess which version I prefer? 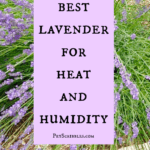 Why are perennials so great? Perennials may require a tiny bit more work in the beginning, as you’re not just planting them for one season. But the reward for your initial effort — especially once perennials get established in your garden — is reliable plants popping up every year and doing their thing with hardly any effort on your part. And when it’s 90+ degrees out with unbearable humidity? 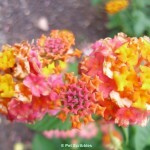 Having late season perennials popping up and blooming in your garden is simply fantastic! And effortless. While most plant catalogs describe the ageratum flowers as blue. Sometimes I think they look more purple. And then it hit me: Ageratum — except obviously for the white hybrids — has flowers the color of a Crayola periwinkle crayon! At least I think so! Let’s talk about the spreading nature of hardy ageratum. It’s just what it does. Rather than fight it all the time, think about where the best place to plant it is. 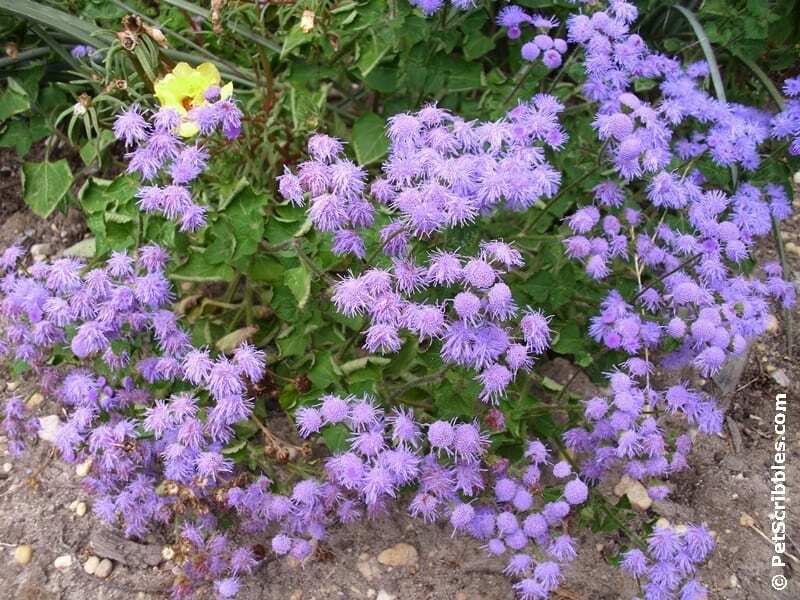 Don’t grow hardy ageratum with other short perennials, as it might end up invading those spaces. After so many years of having hardy ageratum in her gardens, my mom does spend time pulling out seedlings each year so they don’t invade nearby flowers like her white begonias. 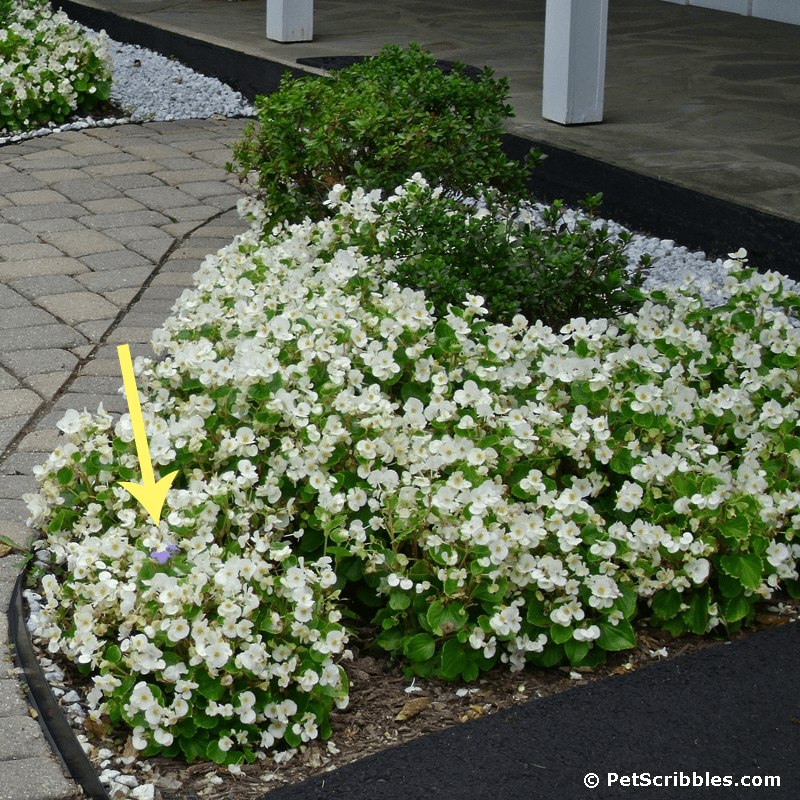 Follow the arrow in the image above and you’ll see a single blue ageratum plant poking through those white begonias! Don’t tell my mom! 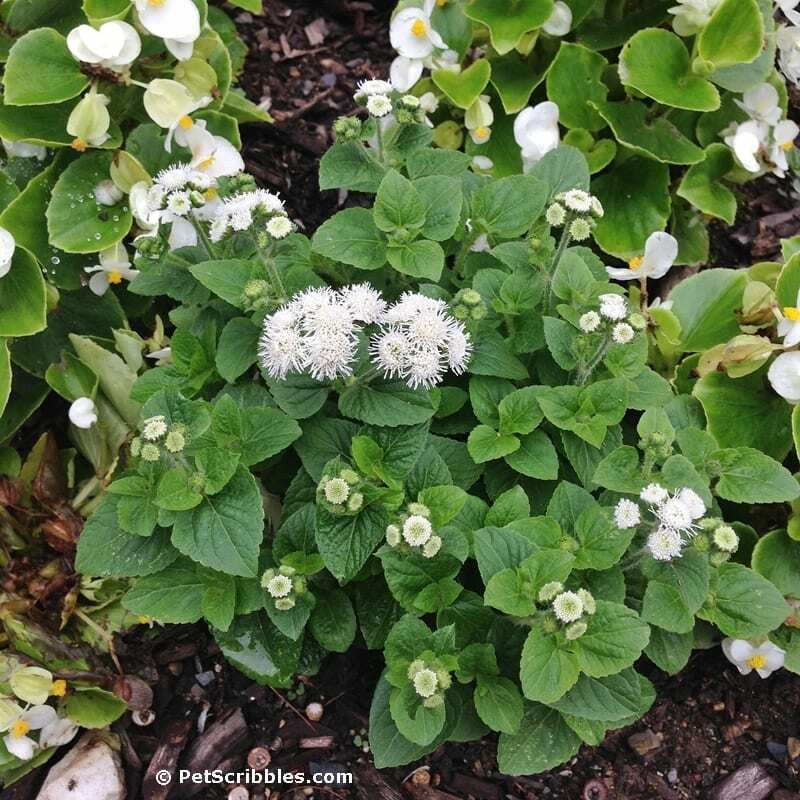 The spreading nature — which bothers some gardeners — can be an asset if you plant hardy ageratum among taller perennials like Coneflowers or Brown-Eyed Susans. Unless you like the look for Winter interest, don’t leave the seedheads on the plants once they’re wrapping up in the Fall. Clip them off and you’ll have less seedlings popping up next season. People say the happier a hardy ageratum is, the more it will spread. I think it’s trial and error, as we all have different soils and climates. Although I think the “errors” need a better name, for how else do we learn what works for our particular garden beds? I spy some white ageratum hiding out among my mom’s white begonias! The botanical name for ageratum has always been Eupatorium, but recently it was reclassified as Eutrochium. Not much, because most online sites still call it Eupatorium. I call it Hardy Ageratum, but in some areas this perennial is also known as Mist Flower or Blue Mist Flower. 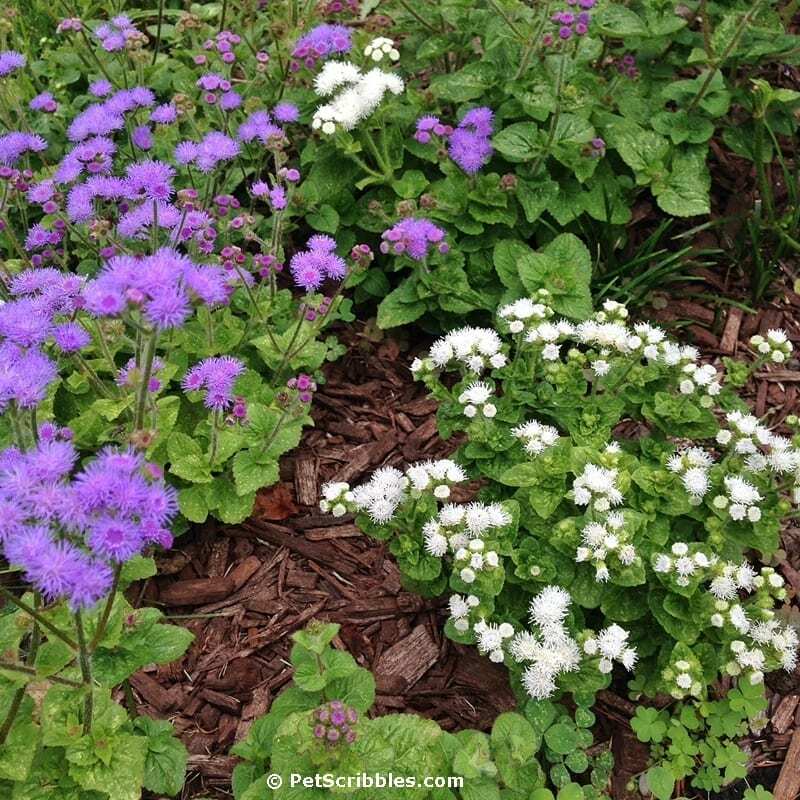 Which hardy ageratum hybrid should you plant? If you have a good plant nursery, definitely seek out their expertise on what will grow best in your specific area. Where have I planted Hardy Ageratum? 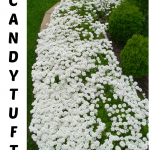 Years ago, I used to have a patch in our backyard gardens, but it got ripped out when we were redoing our landscaping. I miss having it. Big-time. So… I’m planning on adding hardy ageratum to some of our raised garden beds in the front of our house. 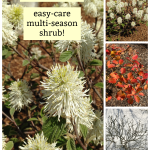 I found the Wayside hybrid from Bluestone Perennials that can be shipped out in time for Fall planting. Hooray! Where did you purchase the Mrs. Bradshaw Geum; I can not locate it anywhere in the US – I am in Illinois but will have it shipped. What a beautiful plant. I will look for it the next time that I’m at the nursery.